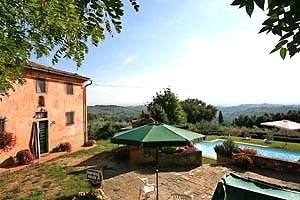 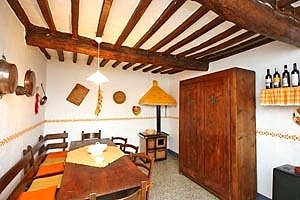 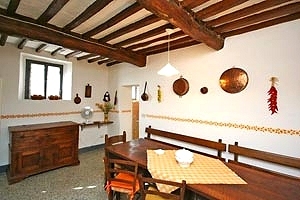 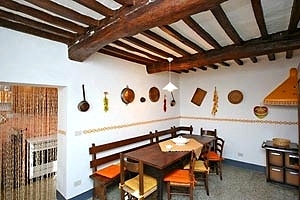 The villa is located near the charming village of Tavarnelle, in Val di Pesa, an area that stretches between Florence and the Chianti region and owes its name to the river that flows through it. 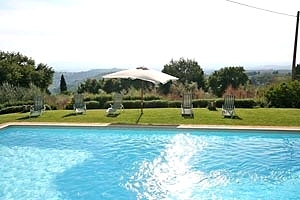 Staying at the villa, guests will have the opportunity to visit the castles Bibbione and Tignano, Passignano Abbey and the many castles and churches scattered along the road that leads from Florence to Siena, and to taste the famous Chianti wine DOC at the wineries that produce it. 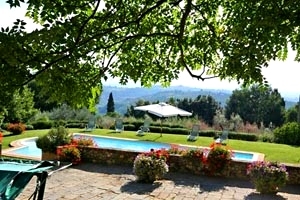 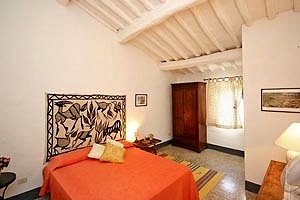 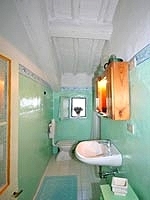 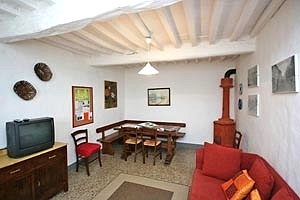 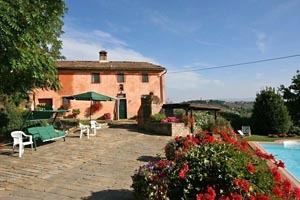 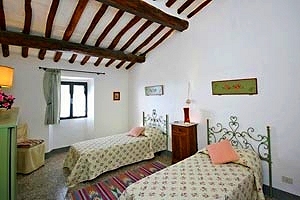 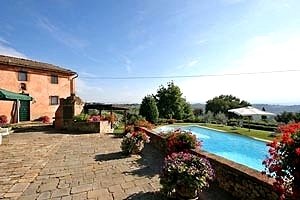 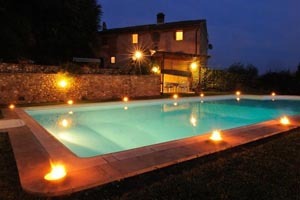 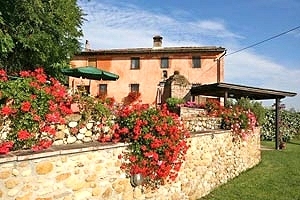 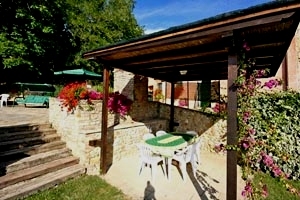 The villa (which in the past was a farmhouse) stands in panoramic position and enjoys wide vistas of Val di Pesa hills. 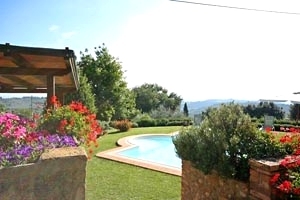 Thanks to its position, the property is an excellent solution for those who wish both to relax in the heart of the Tuscan countryside and to visit two of the most famous cities of art in the world: Florence and Siena are indeed within easy driving distance. 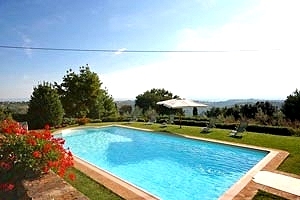 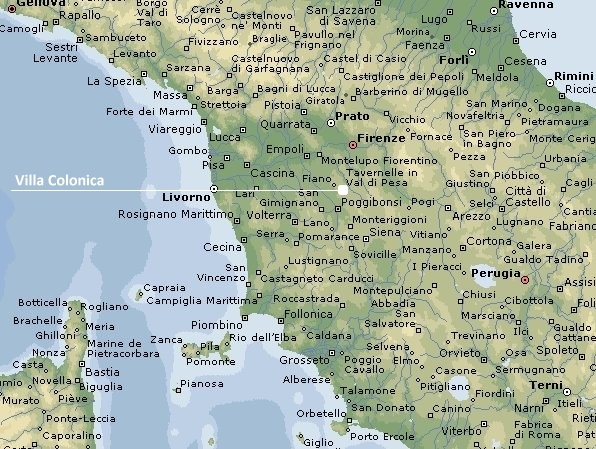 The villa is also the ideal departure point for one-day jaunts to the Chianti area, Arezzo, Montepulciano, Pienza, San Gimignano and Pisa. 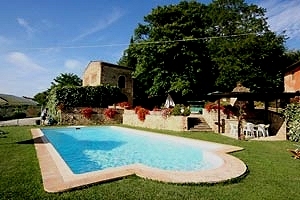 The private swimming pool (6x12 m; depth: 1.20-2 m), a large table, a gazebo and masonry barbecue are in the wide garden that surrounds the house. 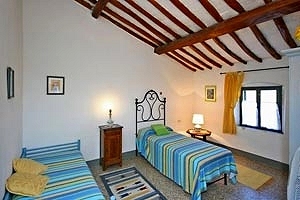 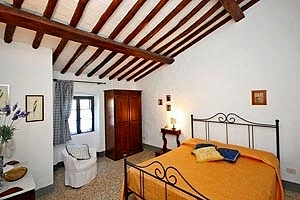 The two-storey building, whose rooms are furnished in the traditional Tuscan rustic style, can accommodate 8 guests in 2 twin bedrooms and 2 double bedrooms and has 2 bathrooms. 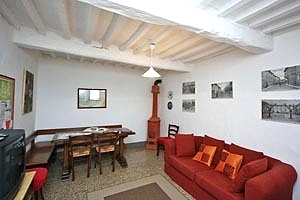 The ground floor composes of the kitchen and a living room with dining area. 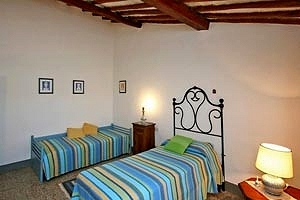 The sleeping area on the first floor includes two double bedrooms (one of them has a private bathroom), two twin bedrooms and a second bathroom with shower. 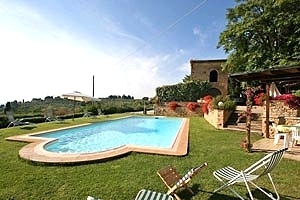 The villa comes with swimming pool, masonry barbecue, fans, DVD player, satellite TV, freezer, oven, dishwasher, cot bed and private car parking place. 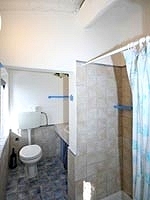 A domestic help and a baby sitter are available upon request. 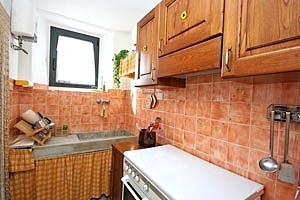 Shops and services of any kind are 500 metres from the house and easily reached on foot.